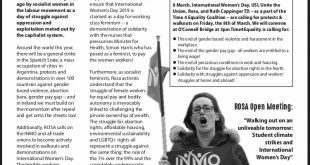 As we fight to push for the repealing of the 8th amendment and to build the pro-choice struggle in Ireland, we can look around the world for inspiration from other struggles for abortion rights. Attempts to roll back reproductive rights in Spain which are deeply unpopular, with polls showing up to 80% against the change in law, have prompted huge public backlash and protest. This mass movement resulted in watering down aspects of the amendment. In an incredible testament to the struggle that has been waged by women and the left, the President has now admitted that the law is likely to be shelved. The mass mobilisations in Spain show the way for us in Ireland. In the US, the victory that the Supreme Court decision of Roe vs Wade in 1973 represented for the abortion rights movement, is also rich in lessons. This was a period of social struggle, with the Civil Rights movement, the anti-war movement, and global revolutions in ’68 all feeding into a broad radicalisation that inspired and fed into the women’s movement in the late 60s and 70s. 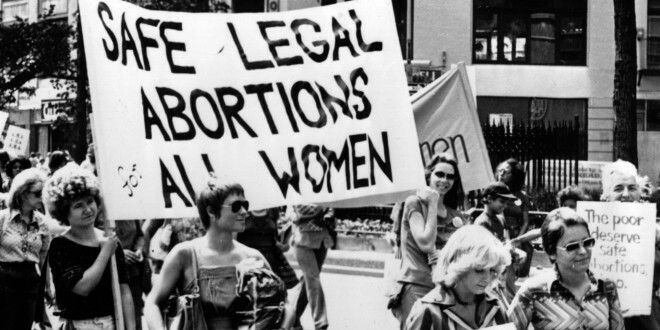 There had been a longstanding campaigning and lobbying work to legalise abortion in previous decades, but it was the mass women’s liberation movement that exploded in this period that was central to the Roe vs Wade victory. The women’s liberation movement organised protests and direct actions across the US, as well as multiple ‘consciousness raising’ groups in towns and cities, a women’s strike for equality in1970, and many other actions. The most radical sections of the movement demanded free abortion on request, as well as 24 hour quality state childcare, in contrast to more conservative wings of the movement that simply were looking for legal equality. This was no good for working class women, poor women, and women of colour with the financial and other constraints placed upon them by class division. The stripping away of women’s reproductive rights in the courts in the US today must be a warning. The most radical elements of second-wave feminism were influenced by socialist ideas. Today, we need to link the struggle for reproductive rights to an anti-capitalist and socialist perspective with a view to winning real and lasting victories against oppression.